Every once in a while, Theme Park Adventure comes across a haunted attraction that catches our attention for one reason or another. Such was the case with Haunted Mansion Haunt in 2012, a home haunt more than heavily inspired by the Disney Haunted Mansion attractions by a group of very talented, creative fans. One of our favorite haunted attractions can be found within the Coffin Creek complex each year: Chambers of the Mausoleum. Created by the same group that produce Labyrinth of Lost Relics (also located at Coffin Creek), Chambers is easily one of Southern California’s most innovative and creative haunts. Winter Nights at Sam’s Returns! 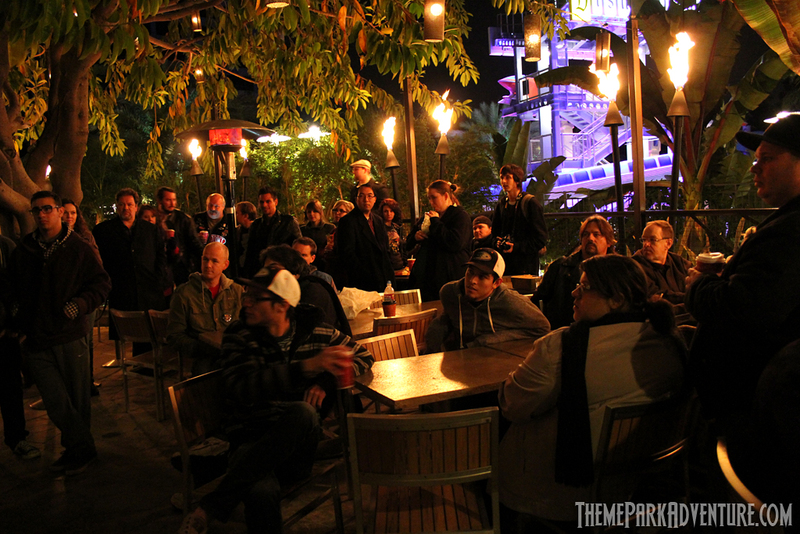 Theme Park Adventure’s Winter Nights at Sam’s returned in a big way Sunday night, January 13, marking the first fan meet of 2013! After a very modest showing during December, we’re really excited to say that this month’s meet was the largest TPA gathering so far, with more than 75 people in attendance at the Disneyland Hotel! One of the home haunts that Theme Park Adventure visited during the 2012 season was Perdition Home, a home haunt that is an annual occurrence in the city of Yorba Linda, California. This is an amateur haunt, and we didn’t exactly know what to expect as we followed our GPS through well-manicured Orange County neighborhoods. Would Perdition be a surprising addition to our Halloween attraction roster, or would it be a bare bones yard display that we’d hit once and never again? Another Halloween Haunt maze that returned once again to the Knott’s lineup this year was Dia de los Muertos, which translates to Day of the Dead for all of you non-bilingual types! Originally designed by former team member David Ortiz, Dia was a shining gem in the Scary Farm offering, specifically giving a nod of respect and inclusion to the event’s vast Latin guest demographic; and it was brilliant!